Kirk Francis, chief of the Penobscot Indian Nation, praises the new water quality standards issued by U.S. Environmental Protection Agency that will protect the tribe’s sustenance fishing rights during a press conference on Friday on Indian Island. A view of the Penobscot River can be seen on Friday from Indian Island. 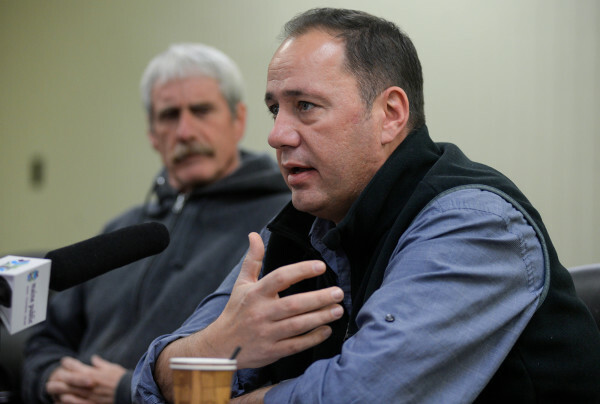 Kirk Francis, chief of the Penobscot Indian Nation, praised the new water quality standards issued by U.S. Environmental Protection Agency that will protect the tribe’s sustenance fishing rights during a press conference on Friday on Indian Island. INDIAN ISLAND, Maine — The chief of the Penobscot Indian Nation on Friday praised new water quality standards issued by the U.S. Environmental Protection Agency that he said will protect the tribe’s sustenance fishing rights. It was unclear Friday what impact the EPA’s action will have on a federal lawsuit filed by the Maine Department of Environmental Protection in August 2014. The complaint alleged that, among other things, the then proposed EPA rules would create a double standard for water quality in Maine — one for tribal waters and another for the rest of the state. The lawsuit is pending in U.S District Court in Bangor. Efforts to reach the Department of Environmental Protection and Timothy Feeley, spokesman for the Maine attorney general’s office, which is representing the department in the case, were unsuccessful Friday. 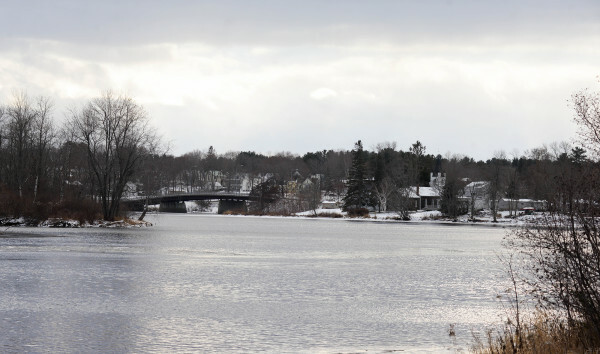 How the new rules will impact municipalities that have discharge permits on the Penobscot River also was not clear Friday. Matt Manahan, a Portland lawyer who has represented towns between Bucksport and Millinocket and some towns in between, said last year that the proposed standards could cost municipalities millions to comply with the standards. Efforts on Friday to reach Manahan were unsuccessful. Historically, Penobscot tribal members have consumed fish and other food sources from the Penobscot River at much higher rates than the general public, according to Francis. In the 1980s and early 1990s, for example, Penobscots relied upon the river for food, especially fish, at rates averaging up to 750 grams per day. Those consumption rates went down in the face of dioxin, mercury and other pollutant contamination in the river and issuance of advisories to limit the number of fish caught in the river. Last year, the EPA rejected the human health criteria that the Maine Department of Environmental Protection used in its water quality standards because they exposed Penobscot tribal members and other Maine Indians to cancer risks, given tribal fish consumption rates. Maine used a fish consumption rate of 32.4 grams per day for native populations, said Dan Kusnierz, water resource manager for the Penobscot Indian Nation. The EPA found that rate was inaccurate and adopted water quality standards to protect the health of tribal members at a consumption rate of 286 grams of fish per day. Historically, mercury, PCBs and dioxins from paper mills and other industries have been the major polluters, Kusnierz said Friday at a news conference on Indian Island. “This is all about getting the river to a place where consumption levels start to get toward the historical figures that we saw with tribal people,” Francis said at the news conference. “The human health criteria within the standards themselves is one thing, but when you look at the health disparities among tribal people compared to the average Maine citizen, that’s another thing. Francis said that the standards set by the EPA for Maine’s tribal waters are the same ones that apply to tribal waters in the Pacific Northwest. The EPA stepped in after it disapproved three times last year water quality standards set by the Department of Environmental Protection as “not adequately protective of human health or aquatic life,” an EPA fact sheet about the new standards said. If the state were to adopt new rules the EPA approved, the agency could withdraw its rules. The state has opposed the rules as too stringent, but Francis said that public support for EPA’s water quality standards was overwhelming. Of the 107 comments provided to the agency, 101 were in favor of the standards and only six voiced concerns, he said. The tribe will continue to monitor the river’s water quality, but it will be up to the EPA to enforce it, Francis said. “We still have a ways to go to restore the health of the river but EPA’s water quality standards are a huge step forward to ensure that Penobscot people can safely eat from the river as we have done for centuries,” the chief said.